“Some of my closest friends have bought into this filly at the final Inglis yearling sale at Newmarket Sydney and I could not be more excited for them. Susi Pritchard Jones and Lea and Bruce Stracey. It will be a fun international group of people. This striking filly is by the up and coming Star Witness. This stallion is the sire of 2 time G1 winner Global Glamour who is owned by a ladies syndicate headed by my good friends Anna Seitz and “Legs” Lawlor. He is also the sire of the supremely talented Star Turn who has been prematurely retired to Vinery Stud. She is out of a Redoutes Choice mare who is an excellent broodmare sire. 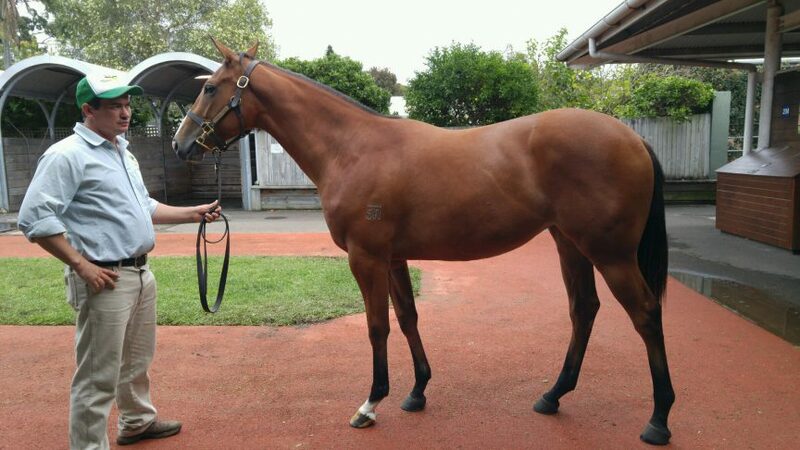 She is a sister to a listed placed filly called Violate trainer by Gai Waterhouse. Star Witness himself raced on two continents and was 2nd in the Kings Stand stakes at Royal Ascot. It would be such a feather in our caps if this young lady could emulate him or better yet pull off the win in the Kings Stand.